On the weekend of May 7-9, 2004, 32 NGOs (110 total participants) convened in Pacific Grove, California for the historic First Conference of Vietnamese American Non-governmental Organizations (VA NGOs). Participating organizations are founded and/ or led by Vietnamese Americans, with humanitarian and development assistance programs in Viet Nam. 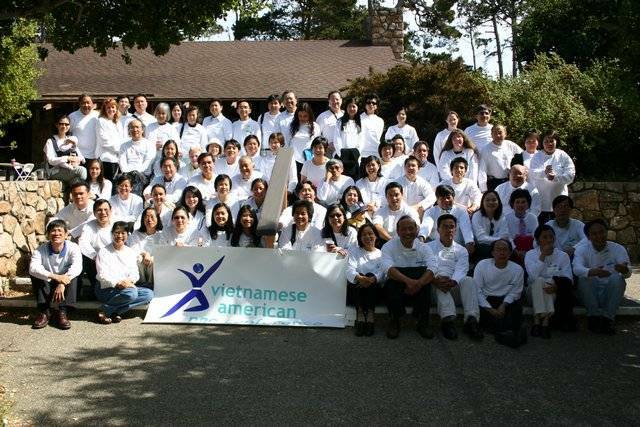 The first of its kind, the VA NGO Conference provides a forum where Vietnamese Americans can discuss a common approach to the questions of how best to engage with Viet Nam in humanitarian and development efforts. The Conference was highly successful in promoting better cooperation and more productive relationships between VA NGOs, the US, and Viet Nam. Based on common needs and challenges identified by Conference attendees, areas for collaboration focus on: a) better communication and information-sharing among VA NGOs, b) exploring new funding sources, c) educating stakeholders in the communities about the work of VA NGOs in Viet Nam, and d) providing technical assistance to VA NGOs to improve organizational capacity and operational efficiency. Specific follow-up activities will include: 1) collaborative Working Groups, 2) Directory of VA NGOs, 3) VA NGO website, and 4) network-strengthening activities. Financial support for the Conference and follow-up activities come from foundations, community funders, and Conference participants.